Facebook thrives on photos—it’s all in the name. Folks simply want to gawk, check out, and spy others. Facebook knows this and now, shielding oneself from the dreaded, embarrassing photo tag will be made all the more difficult. 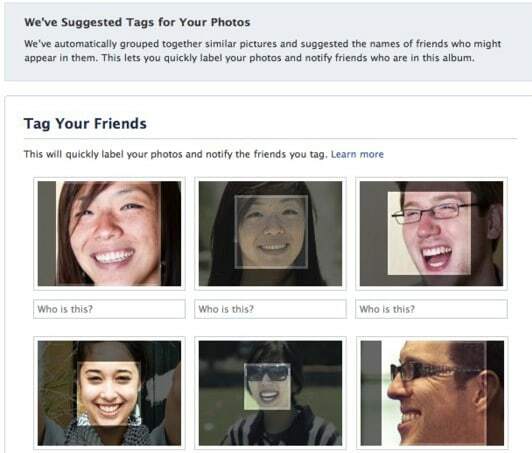 Back in December FB first announced “Tag Suggestions,” an update on its current tagging system, which uses face recognition software to match new photos of users to previous photos in which they’ve been tagged. In essence, FB sees all. However, users can simply toggle the feature off in the “Privacy Settings” menu, specifically in the field, “Suggest photos of me to friends.” A roll-out is inevitable as the option has begun to appear in the “Settings” area for many.